The College of Applied Science and Technology now includes the new School of Engineering Technology. 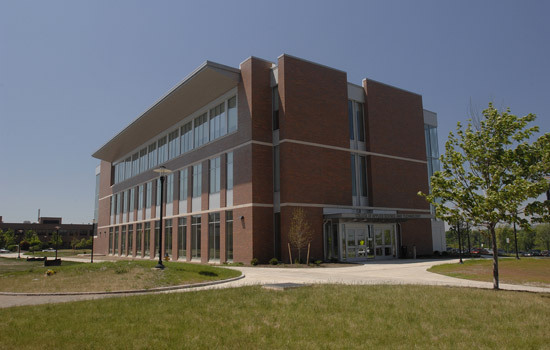 Rochester Institute of Technology announced the formation of a new School of Engineering Technology within its College of Applied Science and Technology. This is a continuation of the college’s internal restructuring plan, and it comes after the development of the School of International Hospitality and Service Innovation this past November. The reorganization of the college into two schools not only serves to better support the success of its students, faculty and staff, but will sustain the college’s position as a leader in the academic community, says Fred Walker, dean of the college. The new school will be comprised of the three current engineering technology departments in the college: electrical, computer and telecommunications engineering technology, chaired by Michael Eastman; civil engineering technology, environmental management and safety, chaired by John Morelli, and manufacturing and mechanical engineering technology/packaging science, chaired by Daniel Johnson. The new structure in the college allows for additional program development, scholarship productivity, fundraising opportunities and strategic progress, Walker adds. Over the summer, faculty and staff from the college will continue exploration of a third school of applied science. Also, the college awaits confirmation from the state Department of Education on a new program, a minor in audio engineering technology. Walker expects the program to be in place for fall 2011. “This marks a significant point in our development because we have done a lot of work over the past three years to prepare for an academic integration of the college programs and future growth,” Walker adds.